IF THE old saying about how ‘the way to a man’s heart is through his stomach’ are indeed true, then this could be just the thing. Tell someone you are planning on giving them a “love sausage” this Valentine’s Day and the chances are you’ll either get a few funny looks or a slap for your troubles. But this is no ordinary love sausage. This is a ‘Love Sausage’ from Marks and Spencer and it is the kind of savoury treat that’s guaranteed to have you falling in love with fry-ups all over again. Launched to coincide with Valentine's Day, the retailer took to Twitter to unveil its new meaty product. "Heart-shaped, lightly-truffled, wrapped in bacon and in store tomorrow. Say it with sausages – tag who you’ll be sharing your Love Sausage with this Valentine's Day!" 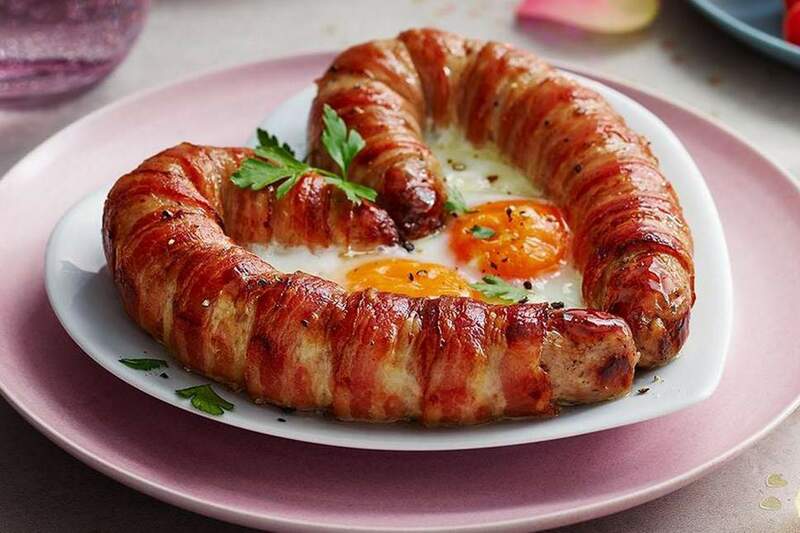 Put simply, it’s a heart-shaped, lightly-truffled sausage perfectly wrapped in some delicious looking bacon and accompanied with two fried eggs, which are sold separately. Sold as the perfect delicacy to share with a loved one on Valentine’s Day, the truth of the matter is that most will probably opt to scarf the whole lot themselves. This kind of meat-based treat could end up giving you palpitations given the amount of fat and grease involved, which, in a weird way, is kind of romantic.